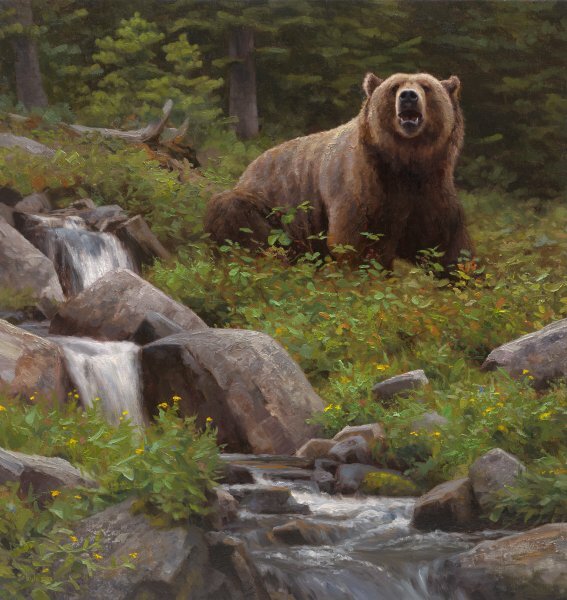 Kyle Sims loves to paint the wild animals in their natural habitats. The artist has captured a large bear savoring his field of huckleberries. Brown, black, and grizzly bears all love the tasty berries. With their high sugar content, the berries help the bears store fat for their long, lean winters. In remote areas of the northwest, at peak season in August, it's best to leave "Huckleberry Heaven" to the hungry bears that forage the fields.